KUALA LUMPUR: After his commendable leadership in transforming the Malaysian Anti-Corruption Commission (MACC), outgoing chief commissioner Tan Sri Abu Kassim Mohamed should be replaced by an 'insider'. This is according to Institute for Democracy and Economic Affairs (IDEAS) chief executive, Wan Saiful Wan Jan.
"This would ensure progression of MACC's tasks and its current agenda," he said in a statement here, Saturday. In this regard, he believed the most qualified individual to take over from Abu Kassim is MACC deputy chief commissioner Datuk Seri Mustafar Ali. "Because MACC's number one and number two will be retiring, so the most qualified internal candidate is Datuk Mustafar Ali who is third highest in position, currently. "Nevertheless, in my view, should the post eventually go to some other high ranking MACC officer, the likelihood of MACC's ability to proceed smoothly in its transformation under him would still be higher, compared to an outsider who has been parachuted into the organisation," he said. Abu Kassim will step down as MACC chief commissioner on Aug 1 while his deputy, Datuk Seri Mohd Shukri Abdull will retire on Oct 3. "There are speculations that Datuk Dzulkifli Ahmad from the Attorney-General's Chambers or Tan Sri Noor Rashid Ibrahim from the Royal Malaysian Police would take over the position. 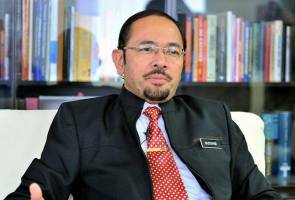 "Admittedly, both possess extensive experience but in the current political situation, the appointment of an outsider will only damage MACC's reputation," Wan Saiful opined.